It’s been quite a few years since I owned a fish tank. 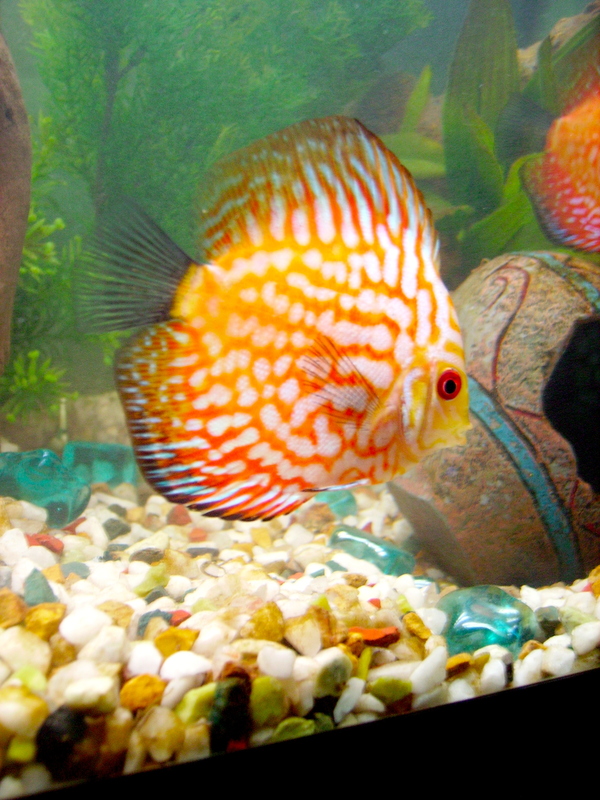 They look stunning, a beautiful feature in a room as well as interesting pets. However, I didn’t realise fish were so socially complex! I encountered all sorts of fish disputes in that tank, from ongoing ambush pursuits, and head butting fights to overly enthusiastic male mollies that would not give the females a moment’s peace, not even to eat, if you know what I mean! This was a tank of what they (in aquarium jargon) like to call ‘peaceful community fish’ that are able to live together in one tank without any notable conflict (as opposed to breeds that cannot mix with others due to the certainty of them killing and eating their other tank mates). Nevertheless, some members of the tank had to be removed for gross antisocial behaviour, which was normally exerted toward their own kind, not other breeds in the same tank, so I guess it was peaceful in that sense. I named one of my mollies ‘Arnie’ (aka Arnold Schwarzenegger) due to his terminator ruthlessness toward fellow mollies, he was bright orange with black patches (reminding me of the black grease you see on the faces of military soldiers for camouflage); Arnie ended up being sentenced back to the pet shop. One of two blue gouramis was named ‘Jaws’, and began bull dozing it’s only tank partner so viciously that the other one would wedge itself tightly in-between the filter and tank glass in fear, missing out on food in the process. Jaws was also sent back to the pet shop, it had to be done! I thought humans had issues!!! Fish society seems a pretty hard life too (for some). After getting used to fresh blood worms in their diets (which they seemed to really love) the fish started to ignore (the far cheaper and longer lasting ) fish flakes, so just like some humans the fish enjoyed fine dining and fresh meats, turning their nose up at cheap processed foods as they grew accustomed to new tastes. Well who can blame them! Over the years I sold quite a few of the fish (including lots of babies) and gradually reached the point of deciding to get rid of the tank all together. It’s a heck of a lot of upkeep, and I didn’t like the number of electrical sockets needed to keep everything going – I probably needed to have a separate generator or something. Filter, heater, lights, timer…..and cleaning out the tank was hard work too. Maintaining a pretty tank is not for the lazy, I soon learned this. Not that I’m lazy, it just demands a lot of your time. Yes. you can pay a professional to maintain it, but it’s a big time commitment all the same. Cleaning the gravel, removing algae, cleaning out the filter, cleaning the accessories, changing/heating the water, conditioning the water, testing the PH of the water, looking out for signs of sickness, buying fish medicine etc. In hindsight, it would probably have been wiser to start with a small tank rather than a 125 litre!! I’ll always adore tropical fish, but perhaps not from my living room for the forceable future. I have a love hate relationship with my tank, too which is only 3.5 gallons. I used to have a few large tanks but gave up on them when I went to law school. Now I have my tiny tank and even the guppies kill each other. So now it is empty except for plants and snails I got to clean the algae. I haven’t been able to decide on what fish to get since it is such limited space and I am ruling out so many aggressive breeds. I can relate – I think it might be the fact that they’re in a tank that the aggression is so intense, maybe if they were in the wild with more space the’d behave differently, who knows! It’s tough. That’s interesting, I didn’t know lobsters were good for cleaning, you would need a pretty big tank for those – and Goldfish!! One of my friend has kept fishes in such a way, it generates the whole cycle. One lobster is known to clean dirt in the tank. Gold fish were meant to eat the po po of other fish.